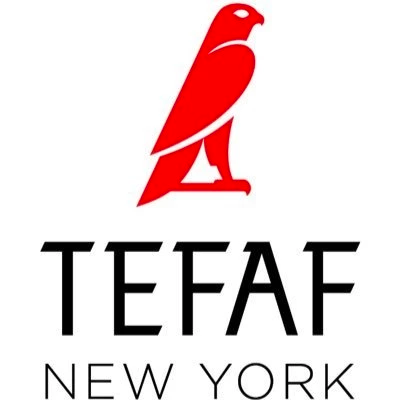 TEFAF’s six-day New York Fall Art Fair, held at the historic Park Avenue Armory in New York City, presented 95 of the world’s top art and antiques dealers, with museum-caliber fine and decorative arts ranging from antiquity to the early 20th-century, fostering a rare, diverse and vibrant visual experience. 200 Mbps point-to-point bandwidth circuit. High-density WiFi for 1,500 attendees in the main exhibit hall (24,000 sq ft), 50 exhibitors, 50 staff/speakers, and multiple VLANs with wired ethernet drops for staff and the box office. On-site network installation and IT support throughout the event. Conduct internal sales training for employees, partners and representatives. This annual corporate kickoff event featured theater-style presentations, video streaming, and heavy audience participation. 200 Mbps point-to-point bandwidth circuit. High-density WiFi for 1,000 attendees in the two tiers of seating, backstage dressing rooms, green rooms, and lobby/foyer at the Wiltern Theater in Los Angeles, CA. Multiple VLANs with wired ethernet drops for A/V, video broadcast team, and staff. On-site network installation and IT support throughout the event. Atlanta Pride traces its roots back to the summer of 1970, one year after the historic Stonewall Riots in New York. Since that time, Atlanta Pride has grown both as an event and organization. The weeklong event now attracts more than 300,000 visitors. 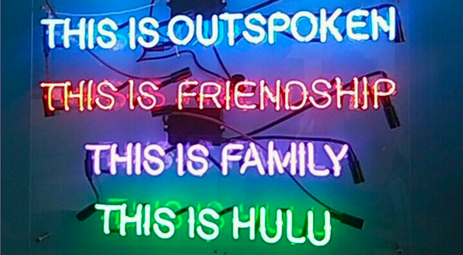 For our fourth activation for Hulu, we provided 20 Mbps point-to-point bandwidth, 600 sq. ft. of outdoor WiFi coverage for their experiential booth area, and on-site IT support throughout the activation. 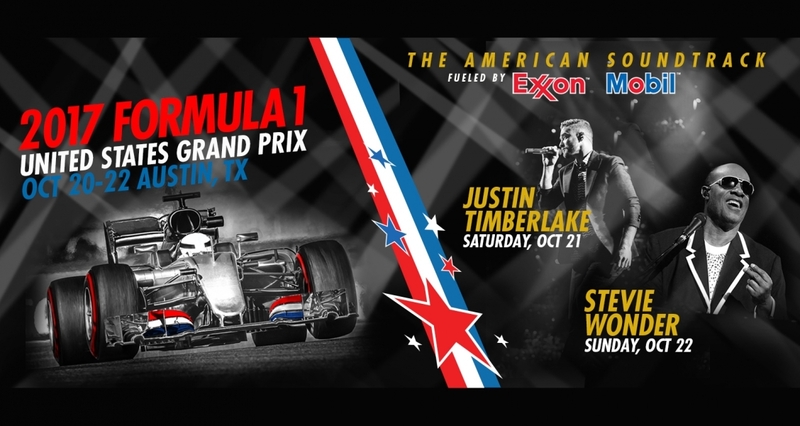 The Austin, Texas stop for F1 racing held at the Circuit of The Americas (COTA) featured weekend-long activities such as concerts by global superstars Stevie Wonder and Justin Timberlake, as well as the race. 50 Mbps point-to-point bandwidth. WiFi coverage throughout ExxonMobil's two story, 320 sq. ft. experiential Speedpass Zone activation for 100 concurrent users, five wired ethernet connections for race live streams and on-site IT support throughout the project. Christian Dior brought the runway to the hills of Los Angeles, where artistic director Maria Chiuri presented her Cruise 2018 collection. 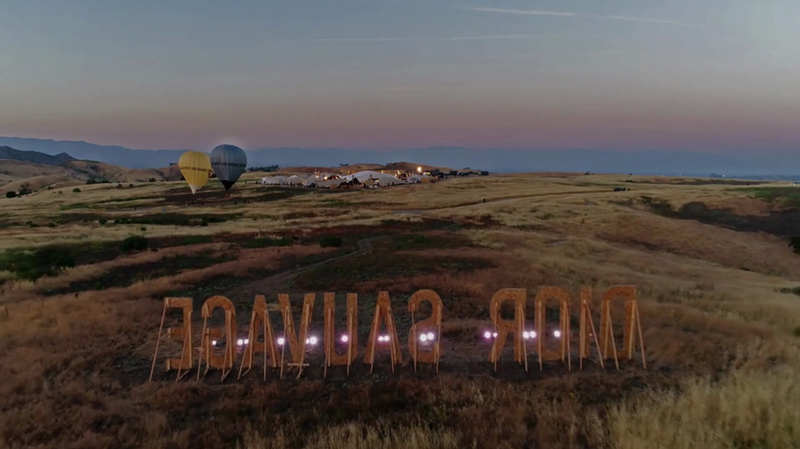 The western-styled rustic set hosted 800 attendees including Rihanna, Charlize Theron, Brie Larson and Demi Moore, featuring a headline musical performance by Solange. Dual 250 Mbps point-to-point bandwidth circuits for front-of-house and back-of-house compounds. Satellite Internet for pre-production days with solar-charged power supply. Multiple VLANs with 75 wired ethernet drops, high-density WiFi for 400 production staff, 50 press, and 800 attendees, and a network engineering team of four to support all on-site IT services. To celebrate the Blu-ray release of its Wonder Woman film, Warner Bros. partnered with Intel's drone team to send 300 drones into the night sky over Dodger Stadium, using software to coordinate a dazzling light show. 50 Mbps point-to-point bandwidth circuit, wired and wireless connectivity for the production compound, and around-the-clock on-site IT support. Conduct internal sales training for employees and representatives. 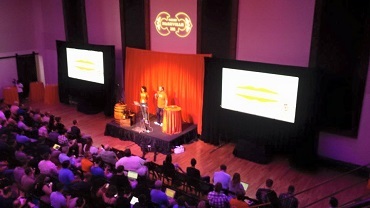 This corporate event featured theater-style presentations, social mixers, and a volunteer component. Dual 200 and 50 Mbps point-to-point bandwidth circuits at two converted raw spaces in Los Angeles. High-density WiFi for 1,000 attendees and the production crew covering 45,000 sq. ft. of indoor and outdoor venue space. The Tick Takeover provided fans and Comic-Con visitors with an immersive experience into the world of Amazon’s The Tick superhero TV series. The experience featured an air-conditioned lounge for Amazon Prime members where guests could charge their devices, use free WiFi, listen to music, and watch an episode of The Tick. RFID wristbands unlocked various features of the experience along the way as visitors moved from the lounge to fully detailed rooms recreating actual locations within the series. After ending up in the police station, visitors received a customized T-shirt or swag bag and a Tick-themed special-effects video clip featuring themselves, which was shareable on social media. Dual 300 and 200 Mbps bandwidth circuits, distributed over multiple wired and WiFi networks. TSI’s networks served 30 RFID kiosks, VR servers, a social media photo booth, 60 staff working in the back-of-house production compound, and 100 concurrent guests using their own WiFi devices in the lounge. 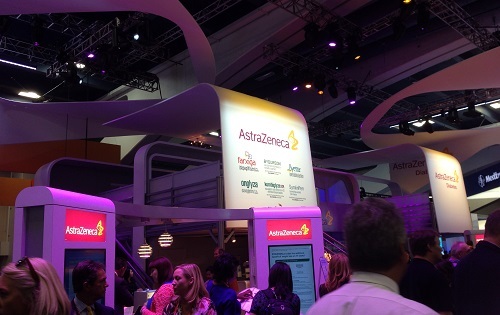 TSI provided 2 network engineers for setup and continuous support throughout the show. 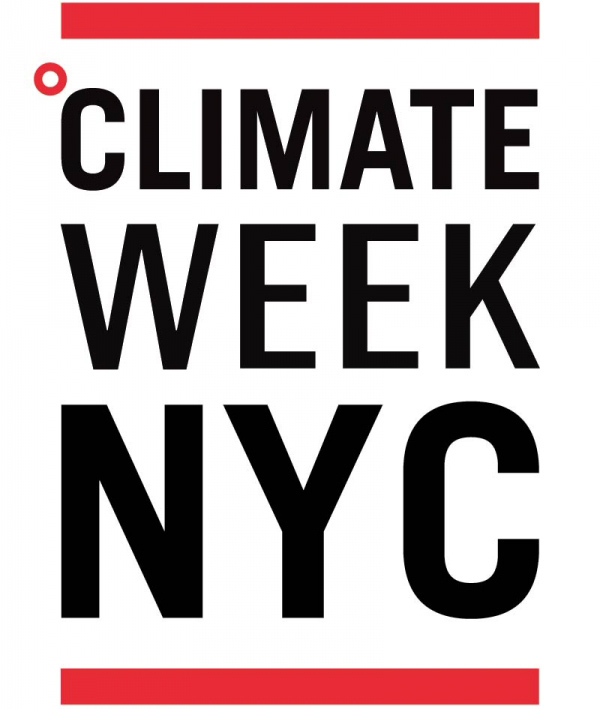 Climate Week NYC gathers the most influential leaders from business, states and cities annually to share why and how they are embracing the opportunities of the clean economy. 200 Mbps of point-to-point bandwidth plus high-density WiFi for 500 media, delegates, staff, and VIPs at The Morgan Library & Museum in New York City. We provided a branded splash page for the public-facing WiFi networks and separate VLANs with wired Ethernet drops for presenters and the production staff. Uber’s three day Elevate Summit was an information-packed conference held at the historic Dallas Union Station where the vision was laid for the next frontier in urban transport. The summit featured industry-leading experts discussing the new vertical take-off and landing (VTOL) transportation ecosystem. The event included aviation industry professionals, manufacturers, politicians, technology partners, government regulators, and aviation enthusiasts. 100 Mbps point-to-point bandwidth circuit. High-density WiFi for 500 attendees in the general session room and three breakout rooms. Multiple VLANs with wired ethernet drops for A/V, video broadcast team, and staff office. On-site network installation and IT support throughout the event. 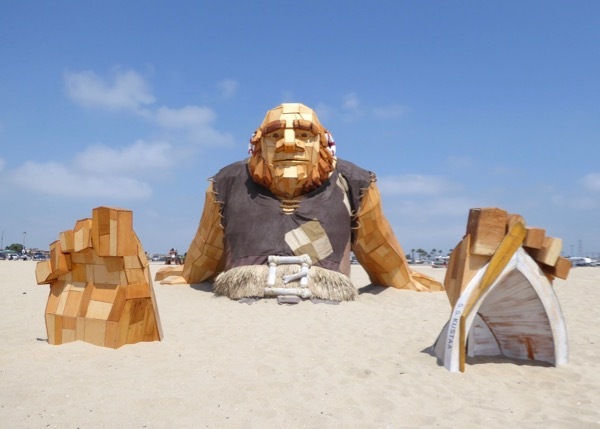 Game developer Supercell celebrated the 5th anniversary of its hit video game Clash of Clans by erecting a 12-foot giant statue of game character The Builder, along with four water cannons at Huntington State Beach in CA. Guests received free WiFi and access to a custom Facebook augmented reality experience. 100 Mbps point-to-point bandwidth, 72,000 sq. ft. of outdoor WiFi coverage, custom splash page with URL redirect to Facebook, and on-site IT support throughout the activation. 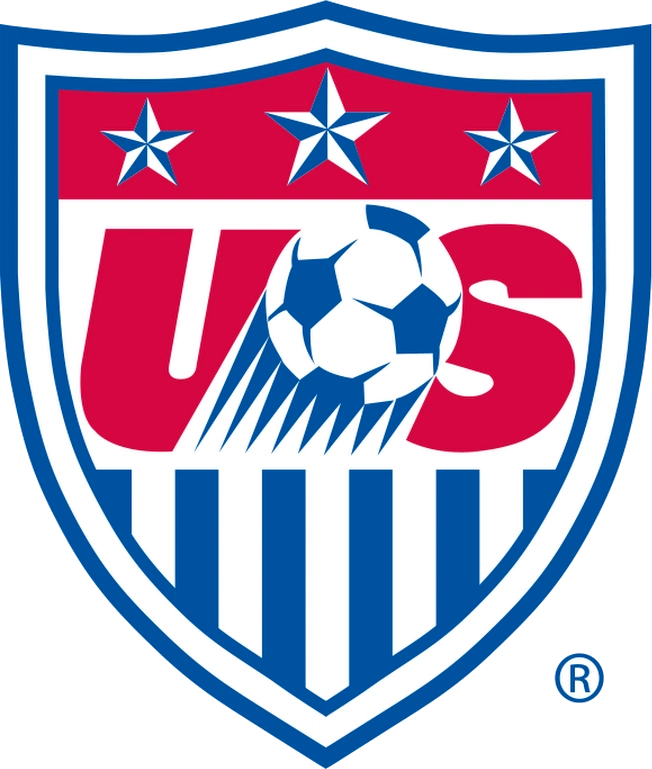 The Development Academy is a partnership between U.S. Soccer and the top youth clubs around the country to provide the best youth players in the U.S. with an environment designed to produce the next generation of National Team players. Distribution of 100 Mbps fiber-optic bandwidth circuit using point-to-point wireless bridges to 14 camera field positions throughout Grand Park in Westfield, IN. TSI’s network enabled the simultaneous live streaming of 14 soccer games to a worldwide audience of fans, coaches, and college scouts. The International Construction and Utility Equipment Exposition (ICUEE), also known as The Demo Expo, is the premier event for utility professionals and construction contractors to gain comprehensive insight into the latest technologies, innovations, and trends affecting their industry. The event takes place every two years at the Kentucky Exposition Center. 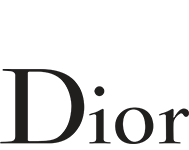 As the show’s official outdoor Internet vendor, TSI provides a standard order form for exhibitors to order Internet and WiFi services for their booths. For exhibitors requiring custom network configurations, Trade Show Internet provides dedicated bandwidth, branded splash pages, outdoor “mesh” WiFi, and wired ethernet drops. TSI engineers manage and support the network on-site from a network operations center. 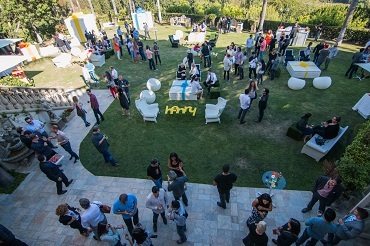 The popular live video streaming platform Live.me celebrated its one-year anniversary with an invite-only party for its top broadcast stars, social media influencers, and fans at an exclusive mansion in the Hollywood Hills. 100 Mbps point-to-point bandwidth circuit, high-density WiFi enabling live video streams from the event to be watched by 25,000 worldwide fans, wired Ethernet drops for production, and all on-site event IT services. Tommy Hilfiger converted the iconic Venice Beach boardwalk into Tommyland, a sprawling outdoor compound which served as the set for the popular fashion brand to display its spring and summer collections. The invite-only event featured amusement park rides, food vendors, unicyclists, a live concert, and of course top models showcasing the latest fashions. 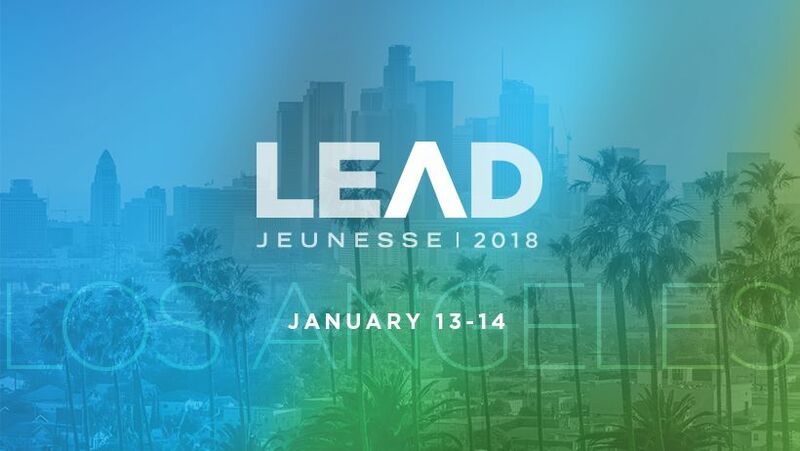 300 Mbps point-to-point bandwidth circuit distributed across to 2 locations (Venice Beach and Hotel Erwin), multiple VLANs, high-density WiFi for 200 production staff, 50 press, and 3000 attendees, custom branded splash page, 35 ethernet drops, and all on-site IT services and support. Food Fanatics Live™ brings foodservice professionals together with premier chefs, culinary experts and business operations consultants for the most innovative and informative local food event around. Integration with the venue’s existing 100 Mbps bandwidth circuit and infrastructure. High-density WiFi for 2,000 attendees and 200 exhibitors throughout Indianapolis’ historic Union Station event space. Trade Show Internet's network enabled attendees to download the show’s mobile app and scan QR codes posted at each exhibitor’s booth. Dedicated VLANs and wired Ethernet drops for the service desk and registration kiosks, including full on-site IT support. 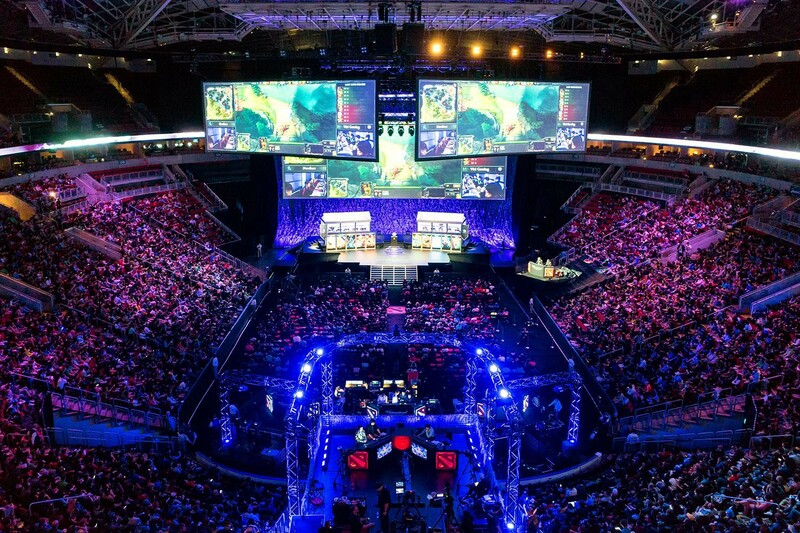 Teams of elite players compete for a $24M prize pool during the world’s largest eSports gaming tournament. A team of 14 network engineers to configure, setup, and monitor two 10 GB fiber optic circuits and provide all wired/wireless services for the event’s 10,000 players, attendees, staff, vendors, and press. For the past several years, Trade Show Internet has provided full IT services at the preliminary qualifier venues (Seattle’s W Hotel and Meydenbauer Center) and the main event venue (Seattle's KeyArena). Hosted by Steve Harvey, ABC’s reality game show series pits two budding entrepreneurs in a head-to-head competition to win over a live studio audience to fund their idea, product or company. In each episode, the audience represents the customer, with their vote determining the winner. TSI was responsible for all on-site IT and WiFi support for the TV show’s first season production at CBS Studios in Los Angeles. We designed a custom high-density WiFi network to distribute 100 Mbps of fiber bandwidth over two VLANs for front and back-of-house connectivity, with primary responsibility for supporting real-time audience voting on 500 iPads. We adhered to strict aesthetic requirements including keeping gear out of camera shots. Film a TV commercial featuring the new Comcast Xfinity X1 Voice Remote demonstrated for a live audience at four Los Angeles locations. We were tasked with providing enterprise class network infrastructure across four separate production locations with a three-day turn-around time. We provided project management and on-site network engineering support, multiple sources of bandwidth including 100 Mbps point-to-point circuits, our 4G Mega Internet Kit with cellular bonding, satellite internet connectivity, along with wired and wireless connections for the staff and demo devices. 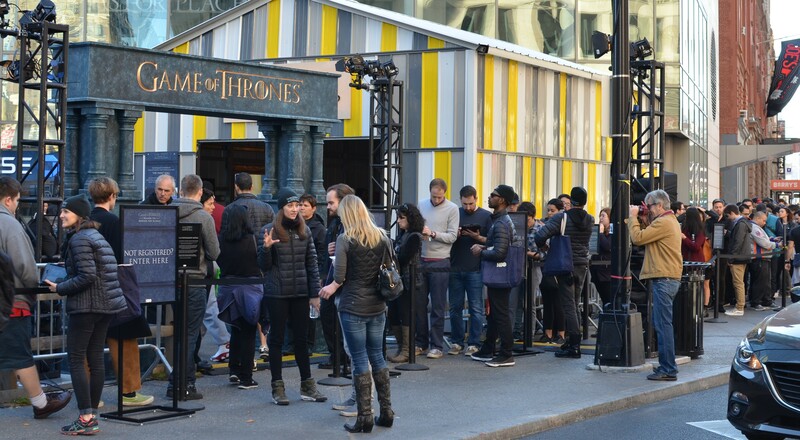 In conjunction with HBO’s sixth season release of Game of Thrones, fans participated in interactive experiences, including photo, video, and virtual reality elements taking them behind the scenes and immersing them into the realm of the hit series. 50 Mbps point-to-point bandwidth circuits for the Chicago and Los Angeles activations. On-site setup and IT support at each location. Outdoor WiFi supporting 100 brand ambassadors capturing fan email addresses on tablets throughout the event. Wired ethernet drops supporting photo booth uploads and back-of-house production functions. Nike’s 3rd annual festival featured members of the USA Basketball Men’s National Team as they trained for the FIBA Basketball World Cup and hosted youth skills clinics and community events on behalf of Nike, the Jordan Brand and USA Basketball. Michael Jordan, Anthony Davis, current players on USA Basketball, basketball greats, and members of the Chicago community made appearances and participated in various activities throughout the tour. 300 Mbps point-to-point bandwidth circuit, three network engineers, and all wired/wireless services for the event’s attendees, staff, vendors, press, and VIPs over a two-week period at the 63rd Street Beach House in Chicago, IL. Conference and educational sessions featuring the latest in clinical and research advancements in the medical field of neurooncology. 250 Mbps point-to-point bandwidth circuit, WiFi for 3,000 + attendees and exhibitors throughout 40 ballrooms and breakouts at the Fairmont Scottsdale Princess Hotel. Multiple dedicated VLANs and wired ethernet drops supporting registration desks, presentation management, speaker ready room, and production staff. Support for conference mobile app and real-time audience polling. Set against Los Angeles’ landmark Griffith Observatory and overlooking the city’s skyline, Burberry hosted a night of fashion, music, and revelry for Hollywood royalty and fashion elites. Stars in attendance included Mila Kunis, Cara Delevigne, Ryan Seacrest, and the Beckham family. Comprehensive event networks serving three sites: a dressing room/office space in Los Feliz, back-of-house production compound at Greek Theatre, and main event space at Griffith Observatory. 150 Mbps point-to-point bandwidth circuits for front-of-house and back-of-house compounds, with fail-over to Satellite. Multiple VLANs with 50 wired ethernet drops, high-density WiFi for 250 production staff, 50 press, and 750 attendees, and a network engineering team of four to support all on-site IT services for the three-week project. 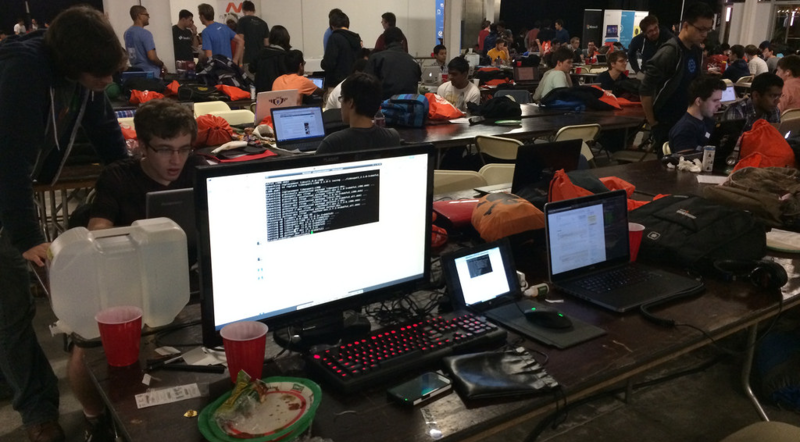 Hosted by Caltech and UCLA, HackTech is the largest hack-a-thon on the West Coast, featuring 2,000 college and graduate students from 50 schools. Teams compete in a grueling 36-hour non-stop competition, vying to win their share of $20,000 in prizes and a chance to get noticed by the event's elite sponsors including Microsoft, Amazon, Dropbox, Cisco, and Google. With just three days’ notice, TSI brought in a team of three network engineers working in alternating round-the-clock shifts to build and support a high-density WiFi network for 2,500 concurrent devices throughout a 60,000 sq. ft. event space at Santa Monica Place. 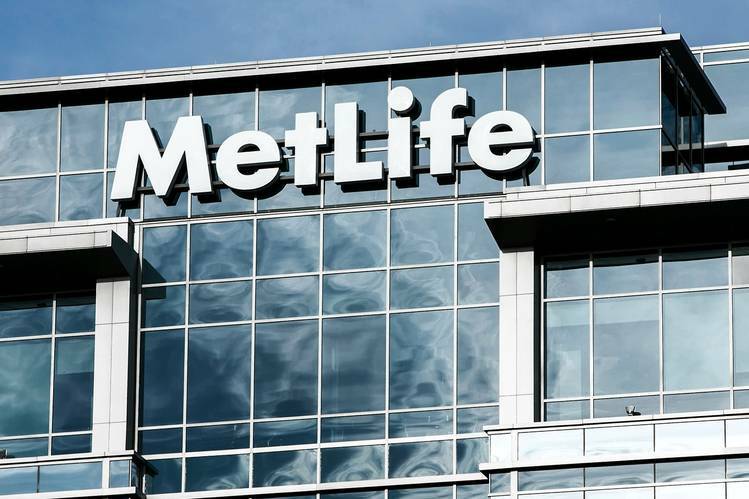 100 technologists were brought together by MetLife, a leading global life insurance and employee benefits company, to develop innovative solutions to improve the coordination of health care for U.S. military veterans. During the 32-hour hackathon event, participants were challenged to develop Electronic Health Record solutions to make it easier to share information among the U.S. Department of Veterans Affairs’ 1,500 facilities. Two network engineers working in alternating round-the-clock shifts provided continuous IT support and Xirrus high-density WiFi coverage throughout 20,000 sq. ft. at the Research Triangle Park Conference Center in Durham, North Carolina. The Monster Energy Aftershock Festival at Sacramento’s Discovery Park featured two days of rock music by artists including Weezer, Rise Against, AWOLNATION, Bad Religion, Pennywise, and the Offspring. The event had four stages and over 35,000 concertgoers in attendance. Satellite and 4G bandwidth for the video live-stream and back-of-house production crew. Outdoor WiFi supporting 25 ticket scanners at the main entrance, including connectivity for the box office, media tents, production tents, and talent trailers. Daily network engineering support on-site. EA launched its first-person urban shooter game live from a rooftop helipad in downtown Los Angeles. The media event featured a livestream with 32 players going head-to-head in all-out multiplayer mayhem. 50 Mbps point-to-point bandwidth circuit, wired Ethernet drops for all gaming stations and staff computers, WiFi network on a 50’ x 50’ rooftop helipad, three VLANs with bandwidth shaping for Twitch video production, gaming, and attendee networks. 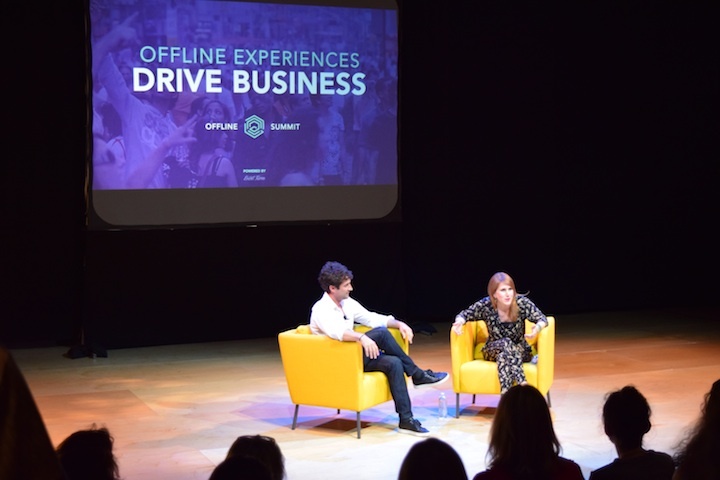 A collaboration between The Dallas Opera and the MIT Media Lab, the first ever globally simulcast multi-media opera took place across a dozen opera houses and theaters in the U.S. and Europe. Audiences received secondary audio, video and multimedia content through a specially developed app downloaded to their cellphones, tablets and other handheld devices. 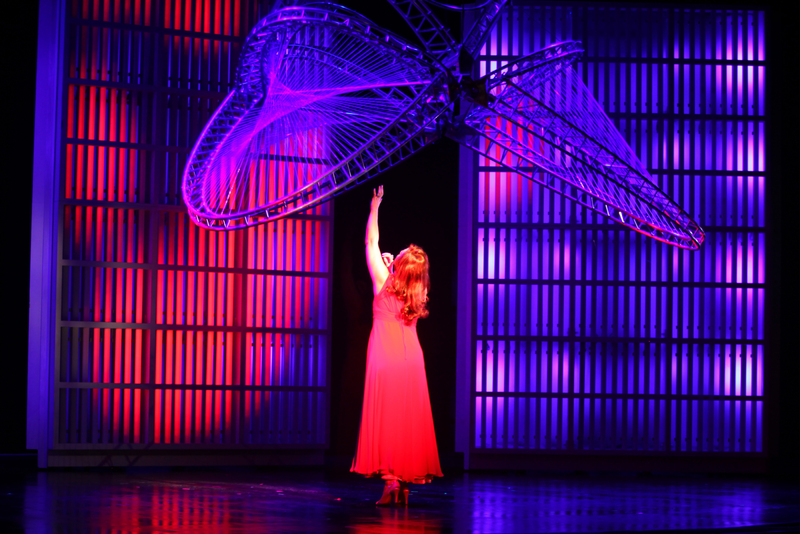 Attendees could also interact with the main stage performance in real time to influence visual elements within the opera house. 50 and 100 Mbps dedicated point-to-point bandwidth circuits at the Franklin Institute in Philadelphia and the Hammer Museum in Los Angeles. Network engineering and consulting services. 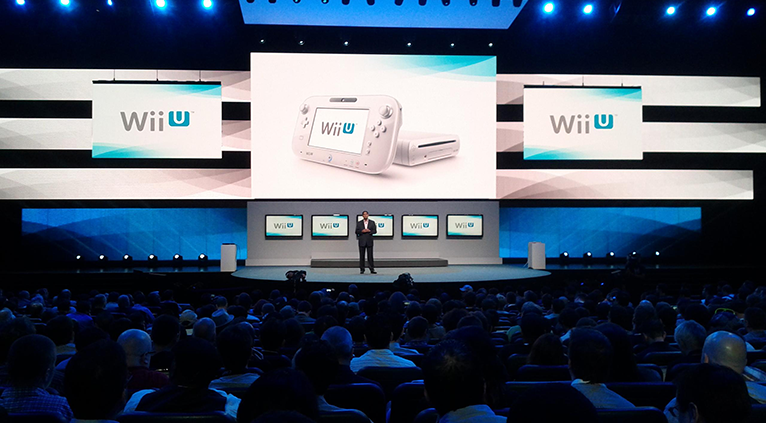 To introduce press and fans to the latest Nintendo video game console and game titles. A high-density WiFi network at the Microsoft Theater at LA Live. Three network engineers built and managed the entire network inside the 200,000 sq. ft. facility, supporting over 4,000 attendees and press. Attendees were given WiFi access on their smart phones, laptops, tablets, and gaming consoles. The press were provided ample bandwidth to live stream the event. 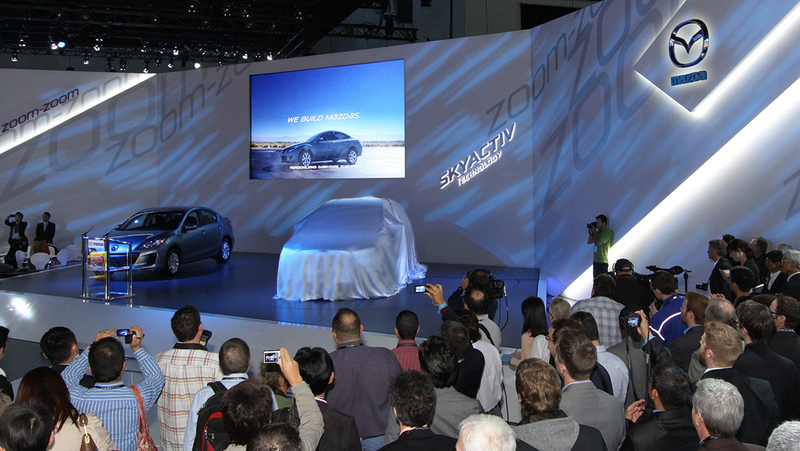 Reveal the new generation of Mazda cars to the North America dealers. 50 Mbps point-to-point bandwidth circuit. Production and guest VLANs, wired ethernet drops, and WiFi for 250 people throughout two 40,000 square foot airport hangars at the Miami Opa Locka Executive Airport. In partnership with Major League Hacking, this hackathon provided an opportunity for students to collaboratively build out their ideas using technology. The event featured workshops, mentorship, a maker space with 3D printing, virtual reality, developer resources, and job opportunities. As part of our multi-year support of the tournament, TSI provides management and distribution of a 1 Gbps fiber-optic bandwidth circuit over high-density WiFi for 1,000 student hackers inside UC San Diego’s RIMAC Arena. 36 hours of continuous on-site support for VR demos, workshops, hands-on labs, coding, and gaming. Conduct internal sales training for several thousand employees and representatives. This meeting featured an all-digital learning experience with attendees using a custom event app to download training materials, review presentations, and interact in real-time with presenters using audience response tools. 300 Mbps fiber-optic primary bandwidth circuit, 100 Mbps point-to-point secondary bandwidth circuit, high-density WiFi for 2,400 devices, and on-site network engineering support at the MGM Grand in Las Vegas. Bosch ConnectedWorld is Bosch’s annual conference on the Internet of Things. Company executives, customers, partners and senior industry leaders gather to discuss trends and explore real-world IoT implementations. 150 Mbps point-to-point bandwidth circuit, high-density indoor and outdoor WiFi for 1,000 participants throughout the general sessions and breakouts at the Morgan Manufacturing event space in Chicago. Multiple VLANs with separate bandwidth allocations for production staff, registration, attendees, exhibitors, press, and robotics demos. Wired ethernet drops for exhibitors, speaker podiums, tech tables, and AV desks. Data, analytics, and reporting. Full on-site setup and IT support. The Art of Performance Tour is an experiential national promotion in which participants are stars in a digital short, and then take the all-new 2017 Jaguar XE compact sports sedan on the street and for three quick autocross laps. 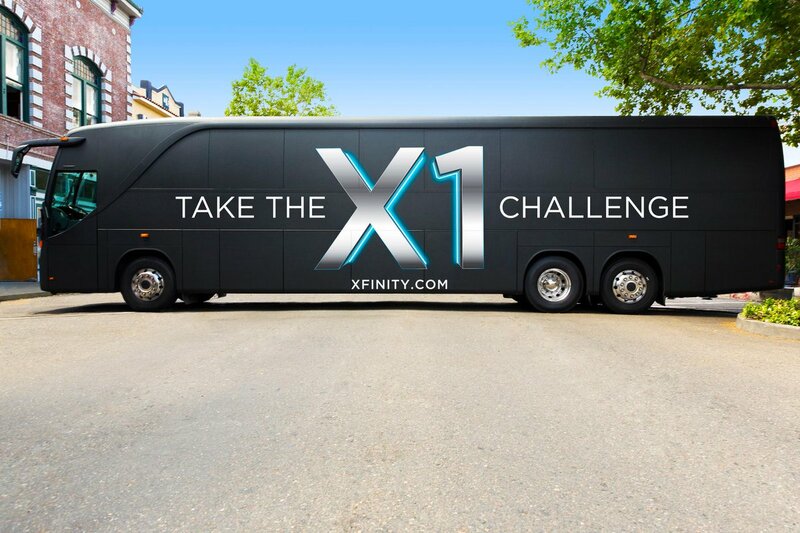 The tour is aimed at introducing the XE to millennial consumers across the U.S.
50 Mbps point-to-point primary bandwidth circuits with 4G secondary circuits at Raleigh Studios in Los Angeles and Vertiport in Chicago to support live video streaming, social media content uploading, and back-of-house production functions. Introduction of the new ABC Freeform brand (formerly ABC Family) and launch of the upcoming premieres of Pretty Little Liars and Shadowhunters. 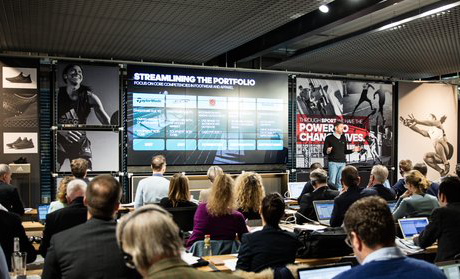 To provide retailers with one-on-one opportunities to meet the leading outdoor product brands and discover the product landscape for the upcoming season. 100 Mbps primary point-to-point bandwidth circuit. 15x5 Mbps secondary satellite bandwidth circuit. WiFi for 2,700 attendees and exhibitors in the outdoor tented pavilions adjacent the Salt Palace Convention Center. 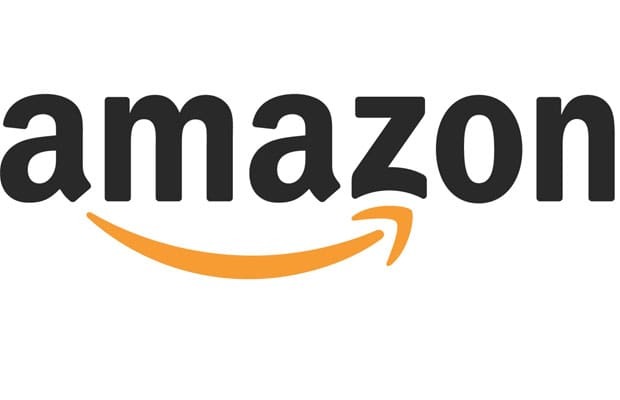 Branded splash page and URL redirect for a sponsor. Dedicated VLANs and wired Ethernet drops for service desk and select exhibitors. Trade Show Internet's network enabled merchants to enter customer orders in real time, process credit cards, conduct web-based demos, and display online video content. Simon Cowell, Univision, and FremantleMedia team up to create a new reality TV show giving teenage fans the power to pick the next Latino superstar boyband. 100 Mbps point-to-point bandwidth circuit, high-density WiFi enabling 500 fans to vote on their smart phones in real time, wired Ethernet drops for production, and all on-site IT services for the film set and production compound in Miami. 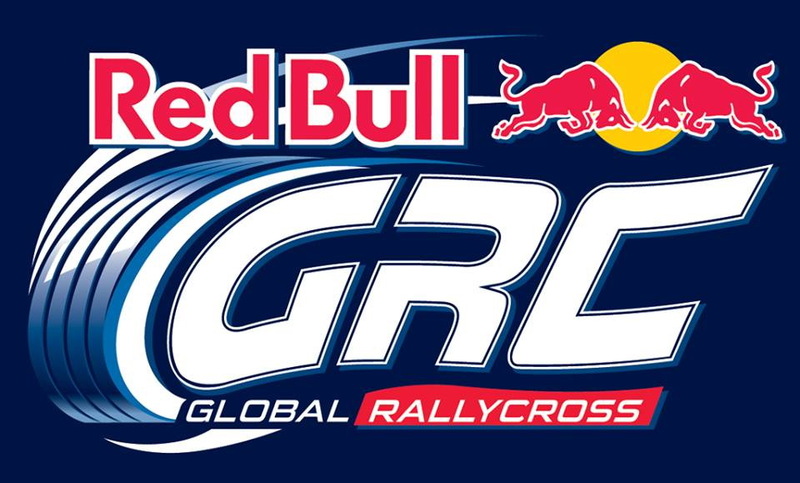 RBGRC features a nationwide series of events for motorsports fans both at the track and at home. 50 Mbps point-to-point bandwidth circuits at multiple events supporting the timing and scoring team, and enabling live broadcasts to the official RBGRC YouTube channel, Facebook, Twitter, and NBC. The Spark Live Tour features a series of workshops for data scientists and IT professionals to learn how to leverage the power of open source Apache Spark and Databricks. 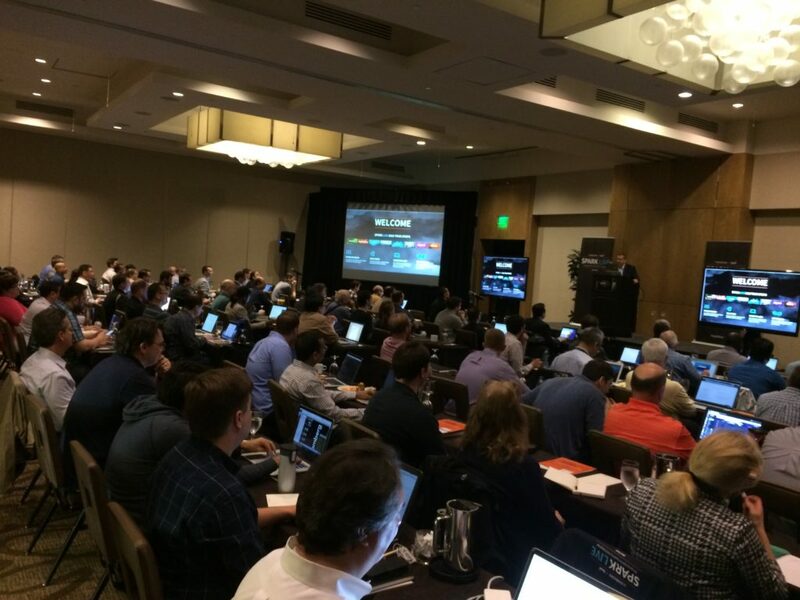 On-site IT and WiFi support, 75 Mbps point-to-point bandwidth circuits, high-density WiFi for attendees, wired Ethernet drops for presenters and AV crew at hotels in multiple U.S. cities. 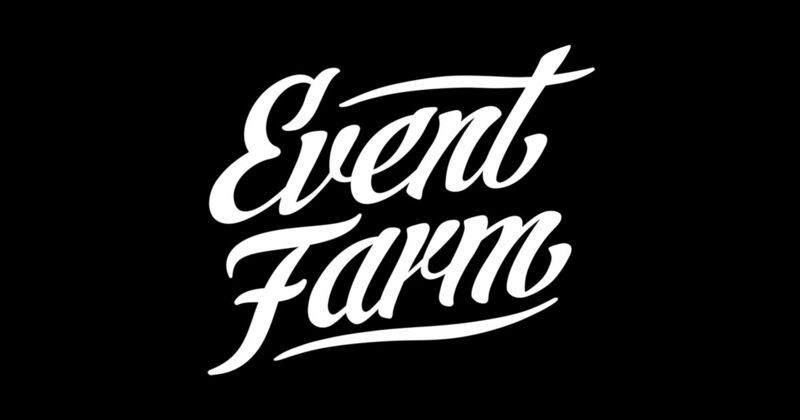 Event Farm’s inaugural conference in NYC features 4 content tracks and 18 sessions for 350 experiential marketers and meeting planners to learn the latest industry trends and best practices to improve their live events. 25 Mbps point-to-point bandwidth circuit. High-density WiFi in the general session and breakouts for live attendee polling and mobile app usage. Connectivity supporting exhibitor demos on tablets and mobile devices. On-site IT support. An invitation-only event designed to put Toyota trucks to the test in the rugged off-road environment of the Arizona desert. Satellite Internet with redundant 4G backup to ensure always-available connectivity for 100 participants during the 3-day event. Outdoor WiFi for press and production staff, point-to-point wireless bridges, Ethernet drops for network printers, and on-site network engineering support. 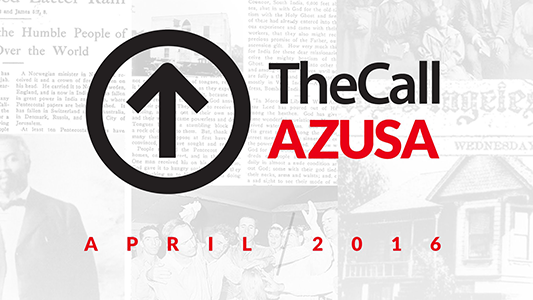 Concurrent religious events for 100,000 attendees at the Memorial Coliseum in Los Angeles and the Lincoln Memorial in Washington D.C., with a worldwide audience of over 50M watching simulcasts on YouTube, GodTV, TBN, CBN, JuceTV, Daystar, and the Holy Spirit Network. The event was translated into Spanish, Portuguese, Korean, Chinese, and Arabic. 100 Mbps point-to-point bandwidth circuits. On-site setup and IT support at each location. Multiple VLANs serving the broadcast and production teams. WiFi for iPads using Square card readers to process point-of-sale transactions. Point-to-point wireless bridges to connect multiple outdoor activation areas. The 31st annual MTV Video Music Awards featured performances by leading artists such as Ariana Grande, Nicki Minaj, and Taylor Swift. 200 Mbps dedicated point-to-point bandwidth circuit to support live video broadcasting and staff Internet connectivity needs. 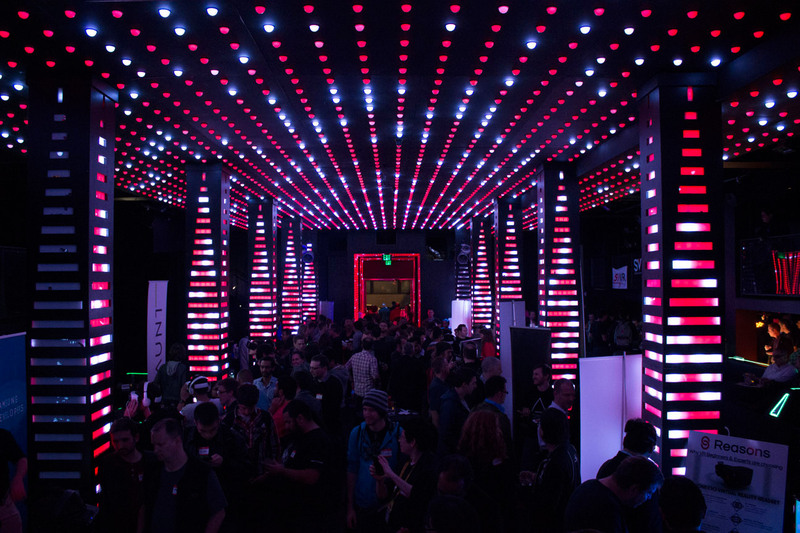 Google’s afterparty featured an opportunity for developers and GDC attendees to unwind after the conference, enjoy live music, and experience new Google technologies in a unique nightclub setting. 200 Mbps point-to-point bandwidth circuit. On-site setup and IT support at the City Nights nightclub in San Francisco. WiFi for 150 attendees, including WiFi for Google’s VR demos and Android tablets. Part of Budweiser's continued support and commitment to the environment through its recent partnership with the National Park Foundation, the Monument Series encourages a new generation of beer drinkers to see national parks in a new light through bold and surprising moments at America's greatest treasures. 200 Mbps point-to-point bandwidth circuit. On-site setup and IT support at Crissy Field, part of the Golden Gate National Recreation Area. 25,000 sq. ft. outdoor WiFi network, supporting 1,000 attendees and 25 staff iPads for registration. Ethernet drops for vendors to stream music and process transactions on point-of-sale devices. Experiential marketing event showcasing Intel’s RealSense Camera, Oculus Rift Virtual Reality, drone flight school, live streaming SiliconDust HDTV, and Golf Club PC gaming on Alienware Alpha. Satellite Internet with redundant 4G backup to ensure connectivity for 60 devices over the 4-day event. WiFi, multiple VLANs, Ethernet drops and on-site network engineering support for Intel’s production team. Media premiere of Henry, a virtual reality comedy seen through the lens of Oculus. 50 Mbps point-to-point bandwidth circuit, high-density WiFi for 340 attendees, production team, and press throughout a private mansion in Beverly Hills. Share new Google Maps products and services with the nationwide developer community. An embedded network engineer for the 1-month tour. Satellite Internet with 4G backup to ensure connectivity for mission-critical online demos. Core routing services, WiFi, point-to-point wireless bridges, on-site technical support, and peace of mind. Github’s third CodeConf focused on the best practices of implementing open source projects, featuring talks from many leaders in the tech industry. Dual 100 Mbps point-to-point bandwidth circuits at Nashville’s iconic Bell Tower and Bridge Building. High-density WiFi for 650 software developers, on-site network engineering services, production and guest VLANs, and ethernet drops for presenter podiums. 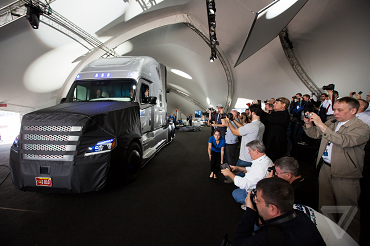 World premiere of the Freightliner Inspiration Truck, the world's first autonomous truck licensed to drive on public roads. 50 Mbps point-to-point bandwidth circuit, core network services including multiple VLANs, and high-density WiFi for 350 staff, guests, and press throughout 7 outdoor tents at the Las Vegas Motor Speedway.